You guys know the drill. It's a 4" Superlift and coilovers. Fox 2.0 Hypercoils. 850lb coils. This setup was originally from a truck with a 5.0 which was a great spring rate, if you plan to do a 5.0 (or any larger engine swap) or plan to add a custom bumper, you'll want heavier coils. Even with my 4.0 and stock bumper, I liked the ride a lot. Anyway, the Superlift is the complete front, minus all the torsion bar parts. There is no rear lift included, this is just the front. 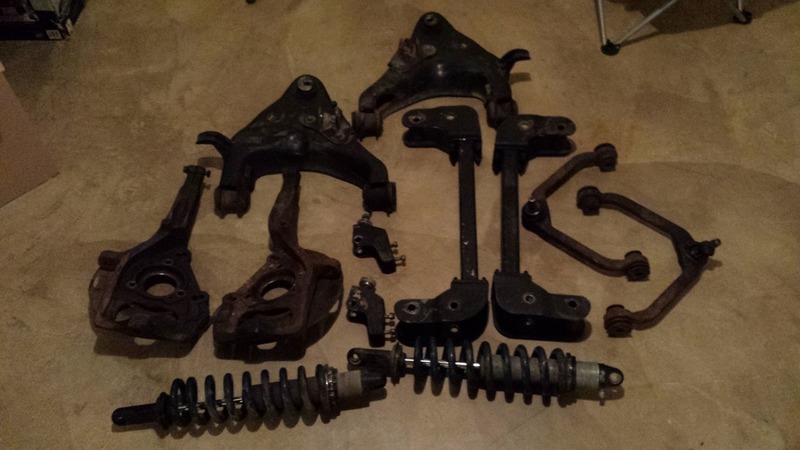 I cleaned these parts up, but I would highly recommend you sand or strip these parts down and repaint or powdercoat them, that's just me though. Pics? Oh yea, I got pics. 2 in fact. But I have a bunch in my build threads, and there are several threads floating around with pics of their install. It's really straightforward. Price? $1200 for everything you see. Shipping included right? 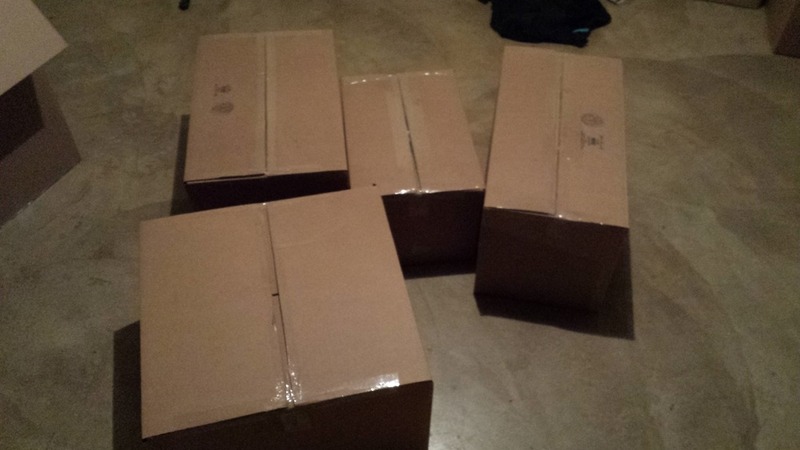 No, 4 heavy boxes aren't cheap to ship. I'll give you guys the measurements and weight, and you can get a shipping estimate from your favorite shipping company. Once you've decided let me know, and I'll verify it, and we'll do the deed. Simple right? I think so. I was hoping with the information I gave you'd take it upon yourself. I can check but it would be in the morning. Kind of a pain on my phone. Who's got a Superlift w/ coilovers? Superlift coilovers on a 2wd Edge?